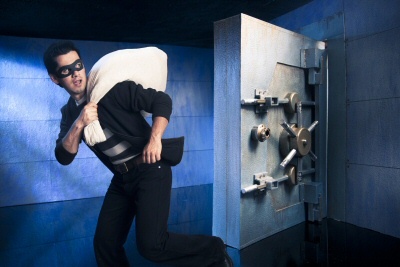 It is not commonplace these days that a bank vault gets robbed these days. Increased security both in alarm systems and security cameras have certainly limited these events and helped prevent it from looking like the wild west again. But in a few incidents, those who have knowledge of the system can easily circumvent it. This needs to be considered when securing facilities, especially banks. 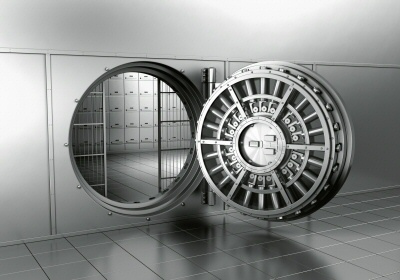 This heist wasn't found until the bank opened on Jan 27th and the vault was found open. This means that alarms were not triggered. Review of the video showed that the cameras were disabled prior to the heist as well. 350k was reportedly stolen from the bank. All of this together means that a person who was familiar with both the physical alarm systems and security camera system had to be implicit in the robbery. This is a very good reason why, even if you aren't storing $350k in a vault in your facility, you need to ensure that your system is well monitored and secured. Many entry-level security camera systems offer basic recording and access to cameras. However, in cases like this where the camera system is disabled, then there is little that can be done to retrieve video. However, with more advanced security camera system, alerts can be easily configured to alert management via text if the system is disabled for any reason. Data can be sent including images from the cameras, and the user that is presently logged into the system. Just speculating, as I do not have intimate knowledge of this particular bank's security camera system, but unfortunately many banks simply go with the minimum when it comes to video security. That usually includes a standalone style DVR, which is a bit more basic than what we would recommend in that situation, and some analog cctv cameras. Sure a standalone dvr will provide basic video recording, but fall way short when it comes to preventing access or unauthorized disabling. The analog cameras, even with decent lenses and coverage might provide some grainy footage if enabled. However, these DVRs commonly are very easy to thwart, simply unplugging or powering down the unit wont send any alerts and will effectively disable the eyes of the bank. Analog cameras, for the most part have been a standby for traditional camera systems. However the cabling of these cameras must be properly protected. Unfortunately, in most traditional DVRs, the video feeds of all analog cameras connected to the same recorder are interconnected through one weak point, the video ground. I will not go into detail in this article as there are many of these systems still employed by banks across the country, but it is possible if cables are not properly protected, and cameras are not positioned properly to ensure contiguous coverage, that cameras can be disabled even prior to building entry. Every aspect of any system that is installed requires thoughtful and intelligent, meticulous design. An ideal system, and one that is currently available, would be able to alert key personnel at the first sign of problem. With a combination of intelligent cameras and a more intelligent recorder, it is easy to accomplish this level of security. Cameras can be set to alert when vehicles pull into the parking lot, or people cross a specific threshold and photos can be delivered via text or email to security personnel. When it comes to the recorder, with advanced systems like our AVM recorder, it can be tied into power systems to alert if there is any loss in power; alarm systems to alert if the alarm system is disabled in any way or even if a code is entered; alerts if any camera is obstructed or disconnected; or if the system is tampered with in any way. Beyond normal methods of communication, a cellular 4G backup can be assembled in place to ensure communication in the event that an internet line cannot be reached. 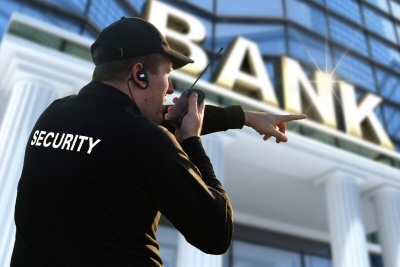 Continuous remote off-site recording and/or panic recording is also built in with systems like our AVM, and can be used to remotely collect video at a corporate office from each branch, allowing a single security guard to monitor all of the bank's assets simultaneously over a secure VPN connection. It is clear that the technology is here, but it takes a company that is dedicated to providing and integrating the available technology to help protect from losses at the facility. Companies like Platinum CCTV have assisted with securing many high security banks, airports, police departments, schools and TSA and customs regulated warehouses. Our expertise is in providing custom solutions, not off-the-shelf cameras, to really address the possible needs and intrusion risks of any facility rather than just trying to make the items we have in stock work. This is why, after 14 years we continue to grow while most other security companies have changed names or 'ownership' several times. Our dedicated support staff can assist with monitoring needs, health checks on the systems and assist in devising plans for growth and change in your organization. Learn more about our Bank AVM Security Camera Systems or call us at (866) 537-5438 to schedule an on-site security audit.